Fiery orange, red and yellow leaves decorate trees across the country this time of year, reminding us that the weather is cooling off and the holidays are coming. The New England region of the U.S. is one of our favorite places to visit during the Fall season. Come along with us to enjoy an Old Vermont Cocktail in Vermont. Vermont is a great place to sip cocktails and take in some unique state facts. Did you know that Montpelier, VT is the smallest state capital in the United States? 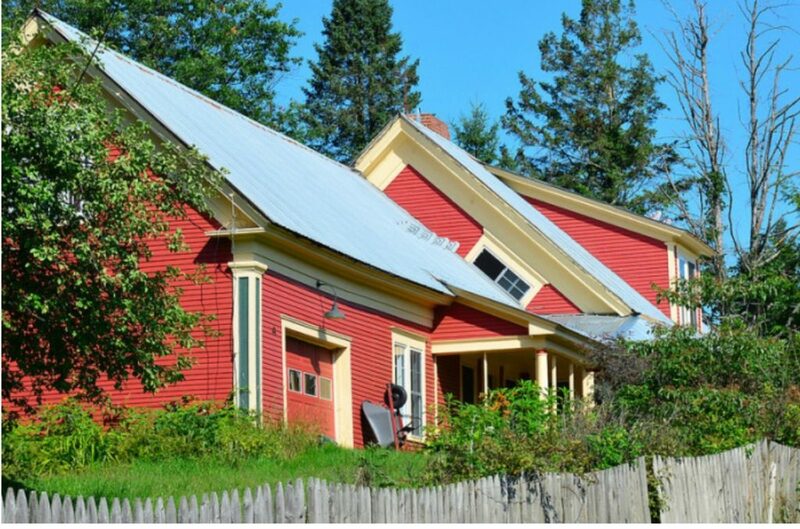 Also, when you visit Vermont, take the time to notice the very unique slanted windows on the second floor of homes. While these windows have a few names, the Witch Window is our favorite. Old superstition says that witches can’t fly into a window that is tilted, thus protecting the home from a witch and her broomstick! Phew! Vermont is also the largest producer of maple syrup in the U.S. – making it a great place to enjoy this specialty cocktail. Rather than using whiskey or brandy and sugar like a traditional Old Fashioned, this cocktail mixes in gin and maple syrup. While the origin of this drink isn’t clear, celebrity chef, Bobby Flay, has helped increase its popularity by featuring the recipe on his Vermont Bed & Breakfast Style episode of Brunch At Bobby’s. Combine the gin, maple syrup, lemon juice, orange juice and bitters in a cocktail shaker. Add some ice and shake. 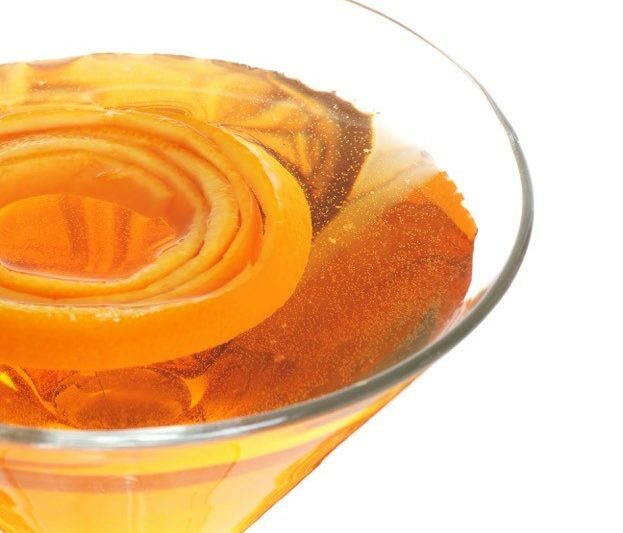 Strain the drink into a martini glass and garnish with the orange rind.